Custom permissions are AWESOME, but there's some places where their use gets hamstringed. For example, I can use custom perrmissions in Flow to control what users can perform certain actions or to determine the pathway of actions. I can use a custom permission to control Lightning Component visibility. In both cases, the user MUST have "View Setup and Configuration" permission on their profile or permission set in order for the custom permission to work. Lightning Component visibility treats the issue as "false" and simply doesn't show the component. Depending on how it's referenced, Flow will through an unhandled error thinking that Custom Permission doesn't exist as an object. There's no reason for users to have View Setup and Configuration permission just so we can use Custom Permissions. We can use Profile data for Component visibility without the user having View Setup and Configuration perms - so why should Custom Permissions be different? I do not know whether the IdeaExchange is the correct place to discuss this. 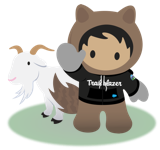 Did you post your issue on the developer forums or in a Trailblazer Group? Permissions should be reachable for any sitiation, whether they are standard or custom. I have not found any Salesforce documentation, which list that there is a limitation. If you do find an issue where it does not work without VS&C, then I would suggest to troubleshoot it well, reach out on the forum, or in a group. And if necessary, open a case with Salesforce. Feel free to pm me a link to the forums or a group where you posted your situation and I am happy to help troubleshoot. Eric - This idea may still be needed because that known issue only affects a single use case. They may have changed it so that lightning component visibility works based off of custom permissions, however other places still cause issues. For instance if you have APEX code that checks the permission to determine if a user can perform some action it will still throw errors. We our currently running into that scenario in one of our apps. View Setup and Configuration - Allows the user to view the App Setup menu and Administrative Settings pages. But the check for Custom Permssions throws an error anytime a user in a profile without this enabled tries to access our app. Agreed that there really isn't a reason this permssion has to be enabled. Please to fix as it is sometimes a roadblock for Admin to enable this permission to use our app. Thank you!